And if having savings (finally!) is one of your New Year’s resolution, then you might want to check this challenge out. The challenge starts with 50 pesos and the amount you need to save increases by 50 pesos every week until the end of the year (for 52 weeks). Jan 1-7 (week 1): You need to save 50. Jan 8-14 (week 2): You need to save 100. Jan 15-21 (week 3): You need to save 150, and so on and so forth. When you continue saving this way, you will be amazed that you will be able to save 68,900 pesos at the end of the year just by saving increments of 50 pesos per week! By saving small BUT consistently, you can save a substantial amount. It so easy and so much fun BUT the most important thing is that you will develop the habit of saving money! 1. What if I missed a week, can I just make it up the week after? Example: What if you miss saving 1,250 on week 25. Then on week 26, you need to save 1,250 + 1,300. 2. As an employee, I am only paid twice a month. Can I save only twice a month also? Example: For the month of January: Instead of saving weekly, you save every 15th and 30th of the month. So for 15th that’s 50 + 100 and for the 30th that’s 150 + 200. 3. 50 pesos is too much for me. Can I just save increments of 20 pesos? Yes you can. The important thing is you are saving money. You can even save increments of 5 or 10 pesos. 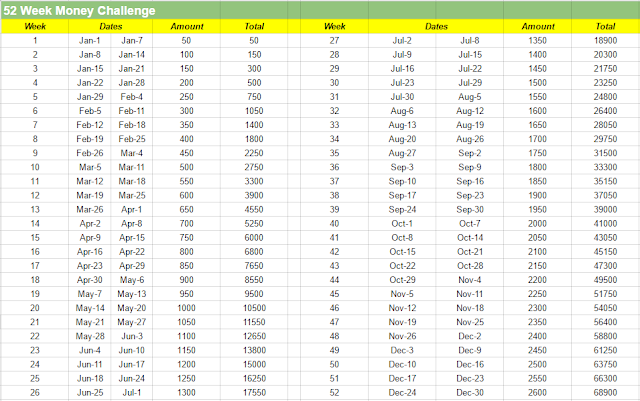 If you can save more, then you can do the 52 week money challenge with increments of 100. 4. Can I have it done in reverse? Instead starting at 50, I want to start at 2600 and decreasing by 50 every week? However, for me, there are no strict rules in implementing this challenge. The important part is that you will have fun doing it at the same time hit your target savings goal! Remember: the habit is more important than the amount. Develop a habit of saving money and most importantly, make it FUN! 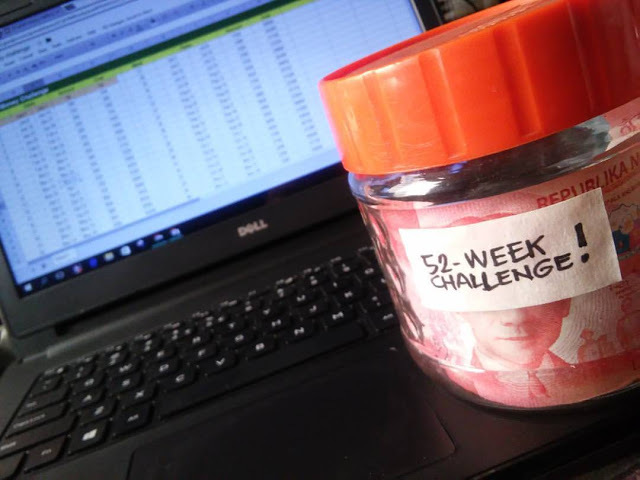 If you have done this challenge before, send us a picture of your 52 week savings so we can inspire others too or you can upload/attach in the comments below.